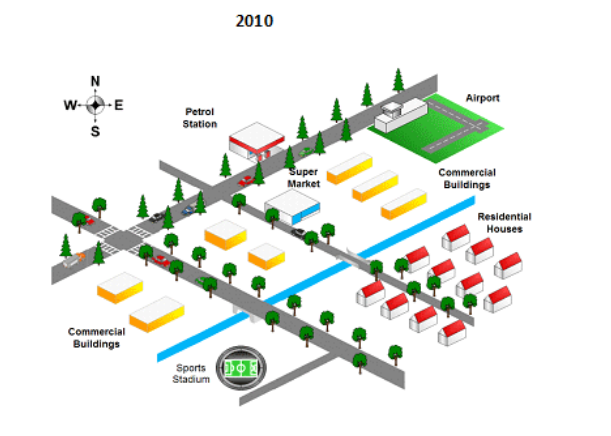 The given maps show how an American town looked like in two years. Write a report in not less than 150 words. Here is a band 8 report submitted by one of our students. Send us your writing samples for a free band score estimate or get a detailed analysis of your writing for a fee. 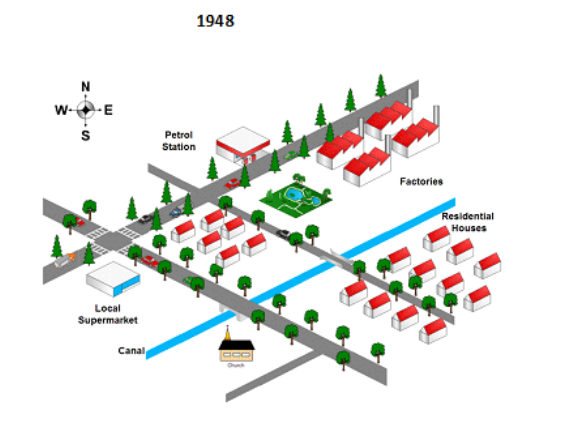 The map gives information about the changes that happened to an American town during the period from 1948 to 2010. Overall many new facilities were added to the town during this period. Changes mainly happened to the inner areas of the town. In the year 1948, the town had many residential houses, factories, one local supermarket, one church and one petrol pump. By 2010, the factories in the south western part of the town had been demolished and an airport had been built. Commercial buildings and a supermarket had been constructed to the west of airport. The western part of the town had residential houses and a local market in 1948 and these residential houses and local supermarket had been removed and commercial buildings had been constructed in this area by 2010. A church situated in the south western corner of the town in 1948 had been demolished and a sports stadium had been built. The petrol pump in the north and residential buildings in the south remained unchanged over the years. Next story Band 7.5 IELTS letter sample | You eat at your college cafeteria every lunch time. However, you think it needs some improvements.